Visitors to Milan's Fuorisalone next week can check into Brera Design District to de-stress: manufacturing group Sacea have arranged a special installation inside the premises of the Association of Architects in Milan. 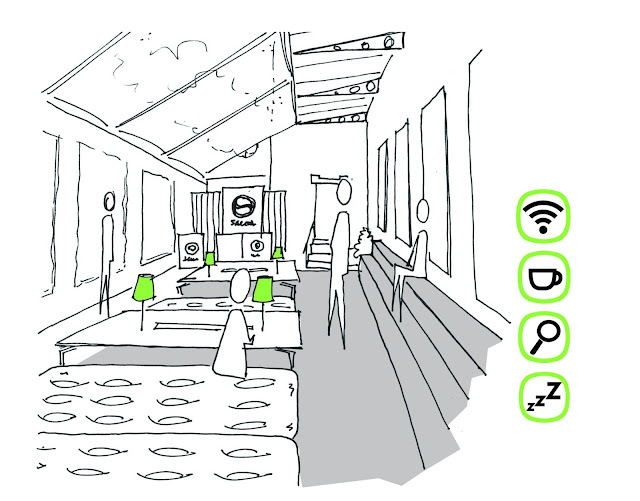 The company has organised a Recharging Zone (with art direction by Francesco Mainardi) that is devoted to welcoming and “refreshing the wayfarers of design”, because visitors to the Fuorisalone spend so much of their time walking and getting no rest. The courtyard in via Solferino 17 will be the location of a relaxation area with lounge tables, steps and inflatable chairs. 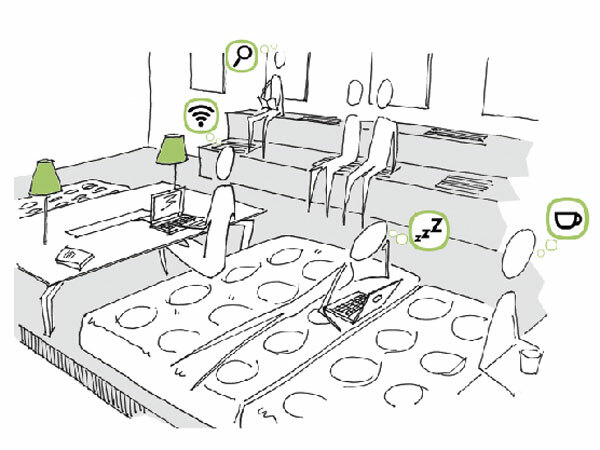 A number of facilities will be available to all guests: - including sockets, computers and free WiFi - helping them to recharge their batteries, their technological devices and their ideas. A free app for smartphones and tablets has also been created for the occasion, where visitors can get useful information and have fun with a special 3D itinerary.